Replacing the factory radio in many late model GM vehicles means losing the chime that warns the door is open, along with audible safety warnings. Also, your new car stereo will not work with your GM steering wheel audio controls. You'll only be able to retain your steering wheel audio controls with a compatible car stereo made by Alpine, Clarion, Dual, JVC, Kenwood, Pioneer, or Sony. No other brands are currently compatible. Check the Details tab to see if steering wheel audio controls are retained in your vehicle. The SOOGM-15 GM Class II Data Bus interface from Crux lets you install an aftermarket receiver in these vehicles and keep the door chimes, all audible safety warnings, and OnStar functionality in select GM vehicles. You'll also retain the use of your factory steering wheel controls in most vehicles (see the compatibility chart in Details — vehicles that do not retain use of steering wheel controls are marked by an asterisk). Connect the SOOGM-15 to the wiring harness on your new car stereo, mount the module in a convenient location, and plug it into the existing factory plug. 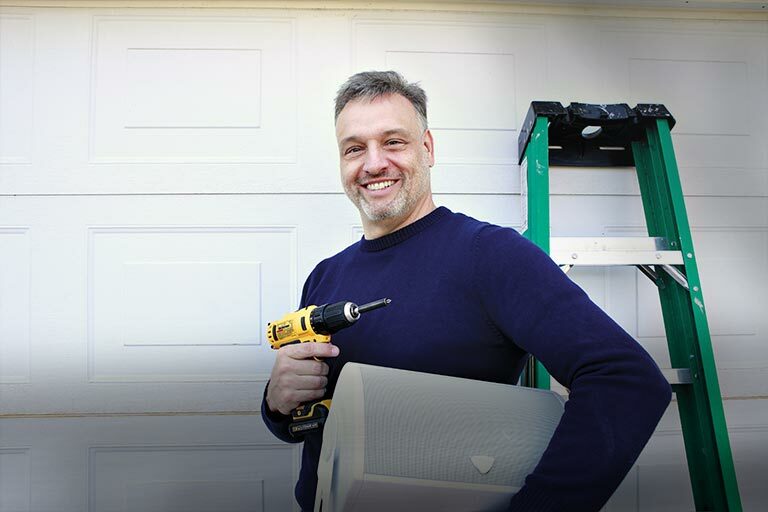 Get the great sound you want, and keep all important safety features intact. The SOOGM-15 interface works with all GM audio systems, including Premium Bose® . Warranty: 1 year. Installation Note: If your vehicle has a factory amplifier, you'll lose fader and balance control with the new car stereo. You'll want to set your system's balance and fader controls correctly before installing the new car stereo, as those settings are retained after you've pulled out the old radio. Did what is supposed to without cutting. When using this adaptor can you still use the rear seat entertainment system? Works with Non-Bose, Bose, Premium Sound, and Y91 amplified radios (use included Bose adapter if your vehicle is equipped with a factory Bose audio system). Note: You'll only be able to retain your steering wheel audio controls with a compatible car stereo made by Pioneer, Sony, Jensen, Dual, Alpine, Clarion, Kenwood, and JVC. No other brands are currently compatible. Note: Where noted with an asterisk (*), the factory steering wheel controls are not retained. Please consult Crutchfield's Outfit My Car to confirm compatibility in your specific vehicle. 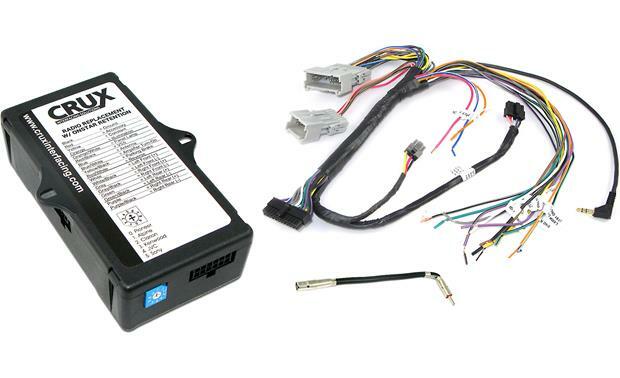 GM Class II Harness: The included GM Class II wiring harness features a 24-pin & 4-pin connector which plugs into your vehicle's factory radio harness, plus a 14-pin & 12-pin connector which plugs into the SOOGM-15 interface module. The GM Class II wiring harness also provides the following bare-wire leads which will need to be hardwired to your aftermarket head unit's wiring harness or vehicle wiring. Steering Wheel Control Cable: The included GM Class II wiring harness also features a steering wheel control output for Pioneer, Sony, Dual, Alpine, Clarion, Kenwood, and JVC aftermarket head units. The steering wheel control output consists of a right-angle 3.5mm connector and a light blue/yellow wire (use the connection that your aftermarket head unit is fitted with). The SOOGM-15 interface module will work with any of the listed aftermarket head units, by using its rotary dial (0-5) for appropriate setting. Installation Note: For vehicles with factory Y-91 Bose Premium audio systems, once you have installed the new aftermarket head unit you will no longer have fader control. Make sure that before removing your factory radio, your system's audio is balanced and faded properly. The factory digital amplifiers will remember these settings even after the factory radio is removed and the new aftermarket head unit is installed. Can you use this on ,2005 tahoe ls with on star no bose? Thinking about getting an aftermarket radio system for my 06 Chevy Avalanche with OnStar but without Bose I was wondering if with this system do I have to cut ANY of the factory wiring or is it all plug and play? Seemed to work fine in 2006 Chevy Silverado. Steering wheel and volume controls worked fine. However after I updated the firmware on my AVH-4000NEX the steering wheel controls no longer work. Strange or is this a known bug? Yes because it still plug directly to the factory harness. Which mean you have control of all your features. Sorry my vehicle does not have a rear seat feature. Unit works great though. Searches related to the CRUX SOOGM-15 GM Wiring Interface Connect a new stereo and retain OnStar®, warning chimes, factory amp, and steering wheel controls in select 2000-up GM vehicles.